One quarter of organizations have failed a data security audit at some point. Don’t be a statistic! Organizations know when to expect a data security audit, often many months in advance. So, it might come as a surprise that 2% of all corporate and organizational data audits do not meet the PCI standard, failing their audit. An estimated 41% rely on “compensating controls,” which are measures to try and meet the standard outside of strict PCI DSS guidelines. Failing a data security audit can often have costs beyond the price tag of a second examination; failure can lead to increased costs in re-training staff and damage to the brand or reputation if word gets out to the public. 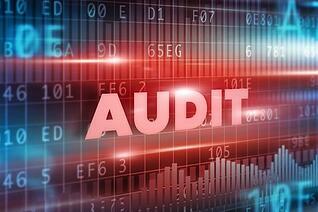 Many business leaders may not understand the importance of preparing for data audits. While data breaches are becoming more costly and more frequent within the U.S. and worldwide, many business leaders may not understand the value and importance of preparing for a data security audit. They focus on the cost and expense of an audit but in nearly every case (unless a very small company undergoes an audit) a data security audit pays for itself many times over in reduced security costs and reputational benefits. Preparing for data security audits has potential for saving money, but many IT security employees find themselves at odds with upper management when advocating for more investment in audit preparation. IT and digital security employees want to spend more; cost-cutting executives often wish to reduce or even eliminate cybersecurity training programs. In a recent survey, 54% of QSAs (Qualified Security Assessors) who are certified by the PCI Security Standards Council to conduct corporate audits say their clients (i.e., management) believe they are overpaying for data security audits. This thinking creates the illusion or perception that audit preparation is not a good investment, which may lead to many executives cutting down on budgets for overall cybersecurity efforts altogether, including encryption of vital data and other programs that prepare employees for an audit. It is important to remember that if a data security audit is failed, you will have to go through the entire process again, adding a hefty expense to the organization’s overall security costs. That would be truly be the definition of overpaying! In addition, it is important to remember the real reason for data security audits: making sure an organization can protect themselves from digital threats. If you do not pass a data security audit, your organization most likely is not prepared or equipped to deal with a full-scale cyberattack. With the average cost of a breach having recently grown from $3.8 to $4 million, smart business leaders know the cost of an effective security strategy is minimal compared to the alternative. Companies that pass data audits are not immune to breaches. As we briefly mentioned earlier, organizations that pass data security audits are not particularly safe from security hacks or data breaches. Target, Home Depot, and LinkedIn, among many other companies, had passed numerous security audits and still experienced breaches costing over $100 million each. Most well-informed executives understand that passing a data security audit should be seen as a basic requirement for an organization, rather than a definitive reason to assume you have an effective security strategy in place. Organizations with effective security strategies continually monitor and update their policies, strategies, and procedures to increase their effectiveness and awareness. They are prepared to defend themselves against new threats to sensitive data. How can Prime Factors help? To learn more about how encryption can protect your organization and help you meet PCI-DSS (Payment Card Industry Data Security Standards) compliance requirements, contact Prime Factors at 888-963-6358 or through our contact form for free consultation.